How Does War Machine's Gun Work? Can He Sit Down? New Toy Pics Reveal All! 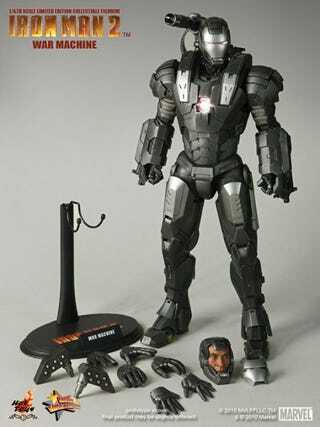 Incredibly detailed photos of a 1/6-scale replica of Iron Man 2's War Machine have gone online, revealing exactly how Rhodey's going to dish out the pain in the new movie. Details include guns, gauntlets, and waist joints.